IDEF2 Diagram Software - Create IDEF2 diagrams rapidly with rich examples and templates. 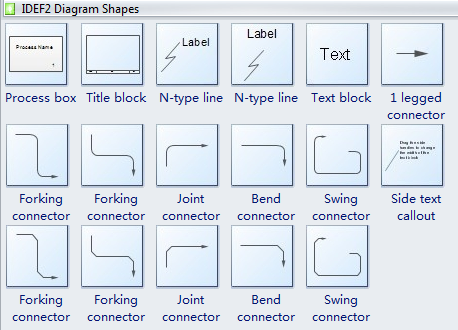 Edraw Max has added the new shapes to support the IDEF2 diagrams. Now it is easy to create the IDEF0 and IDEF2 diagrams and other business diagrams with rich examples and templates. IDEF2 shapes are often used to represent the time varying behavior of resources in a manufacturing system, providing a framework for specification of math model-based simulations. An example idef2, showing a simple idef2 process flowchart.